At ‘Unique Change’ we provide a wide variety of solutions to suit the individuals requirements within private therapy or as part of a corporate package. 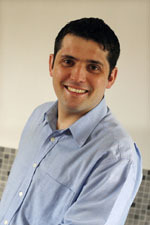 Our prime therapist and trainer is Matthew Hudson. Licensed NLP trainer with NLP Northeast and Magical Spelling Ltd.
Co-developer of The Powers of Six and Emergent Knowledge theory and technology. Founding member of the North East Hypnotherapy Practice Group (NEHPG). Mentor for other therapists, and lectures at conferences and workplaces throughout the UK.